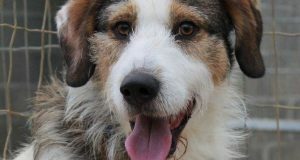 Home / Latest News / Adoption of Toby and an event tomorrow! Adoption of Toby and an event tomorrow! Good news we promised and good news we have. Today saw the adoption of Toby. 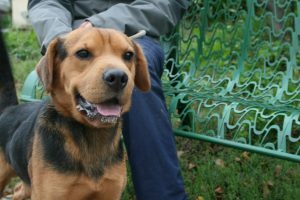 He is a young sharpei cross (we think) who had already been at the refuge on a previous occasion, when he arrived with his mum, Gaya. 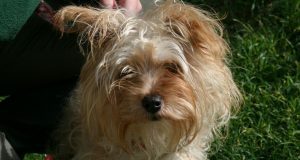 Toby was reclaimed by his owner, but strangely enough she was not the owner of the mother dog, who was subsequently adopted by employee Jeanne. 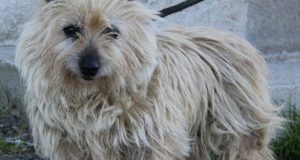 In any case, as expected, Toby’s owner did not keep him for long. She phoned up to make an appointment to abandon him officially last week, but then opted to tie him up to a lamp post rather than bring him in as agreed. Grrr. In any case, the end result was the same; Toby needed a new home. And a FAR better one, clearly. Luckily he didn’t have long to wait. A family arrived looking for a young dog, and they loved Toby as soon as they saw him. A walk confirmed their choice, and today after a quick visit to the vet, Toby left for his new home. Another dog left the ScPA today and is spending the night (or at least half the night) with Moira before setting off for the UK in the wee hours of the morning. But we will tell you all about that tomorrow. 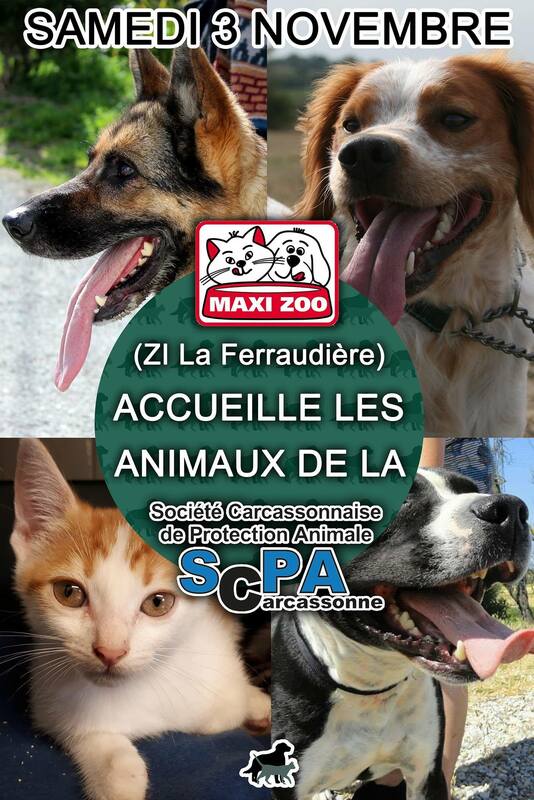 Also tomorrow there is an event taking place that may interest anyone who fancies a visit to Maxizoo. This “pet store” is much loved by the ScPA for two reasons. Number one they support us via regular donations of food and accessories from both the store itself and their lovely customers. And a BIG number two; they do not sell animals. So rather than being a pet shop in the traditional sense, Maxizoo is very much a shop FOR pets. In any case at the initiative of employee, Vincent, tomorrow Maxizoo Carcassonne are hosting the ScPA once again. This time it will be an awareness raising campaign, where visitors to the store can learn all about the refuge; who were are, how the refuge functions, etc. There will be video footage of some of the animals available for adoption, and you can learn about how to be a volunteer. You can also find out how to adopt, of course, as well as meet lots of the lovely ScPA volunteers, who we hope may inspire you to join the team! The refuge will be open as usual, of course, so why not pop in afterwards and see the animals in the flesh (or fur)? Next: Adoption of Demi and Mimi!